From 12/15/2003: #BillyBallpoint gets fed up with the American #TwoPartySystem with an AX! Posted without comment. As if it needs any. From 12/8/2003: Billy Ballpoint realizes the sad state of truthful affairs in America. 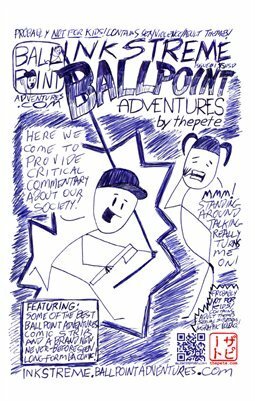 In #BallpointAdventures for July 4, 2016, #BillyBallpoint challenges the #MainStreamMedia!